For the past few months our volunteers have been working flat-out to get the site ready for an “important visit”. Given the security surrounding a Royal visit publicity is strictly controlled, so much so, that the volunteers didn’t know who was coming until late on Friday the 13th. 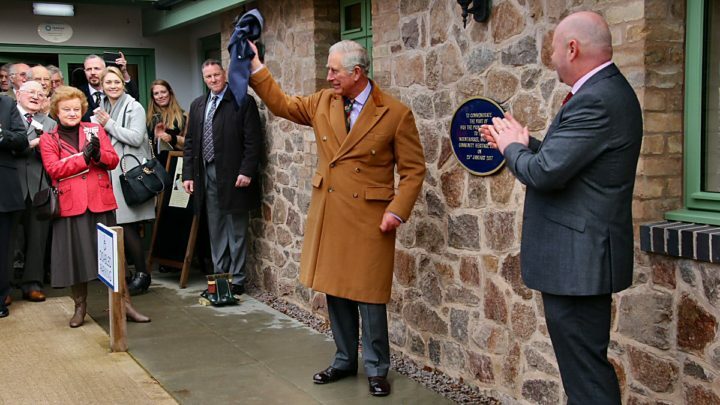 The majority of this newsletter is obviously dedicated to Prince Charles’ visit on the 25th, however, please find time to read the section on Volunteering Opportunities at the end. 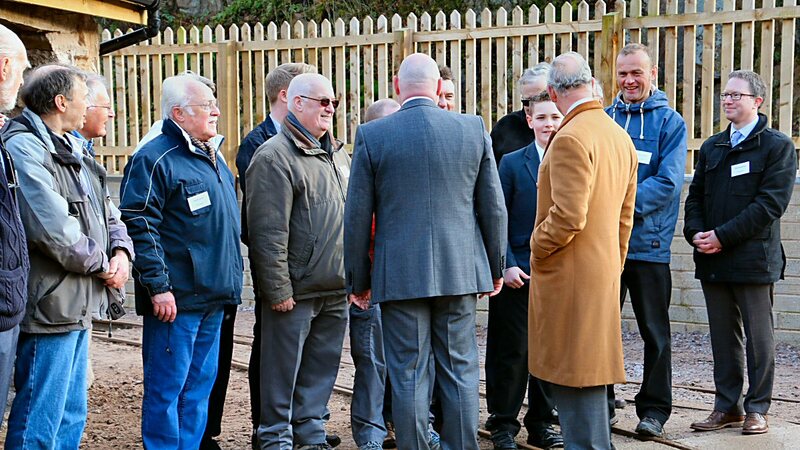 Not least because it will give you an idea of when various sections of the site will be opened to the public. 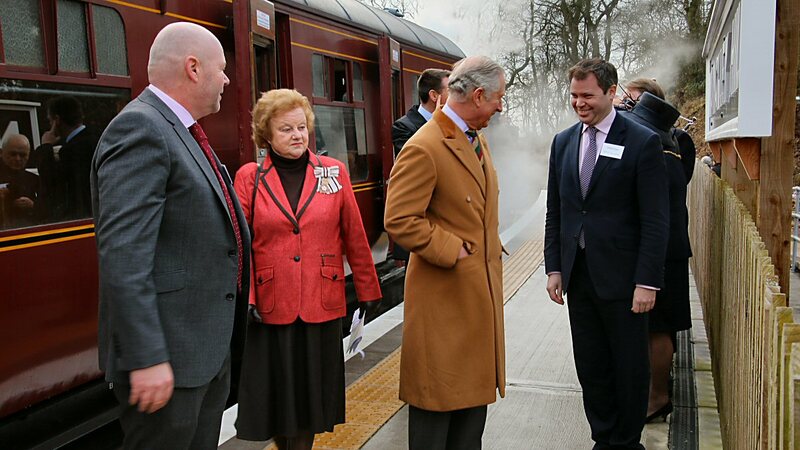 Doubtless many of you will have seen that our “Important Visitor” was HRH, the Prince of Wales. Some of you may have watched the TV coverage. What you can’t appreciate is the incredible atmosphere that surrounded the visit. 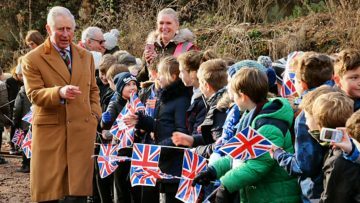 The children were amazing, well behaved, cheering their hearts out each time the Prince was in sight, and the look of delight on their faces when they met HRH was a joy to behold. So to the details of the day. Many of the volunteers were there by 9:00 to ensure the site was ready and the “No Dogs” rule was relaxed to allow the police sniffer dog to check the site. 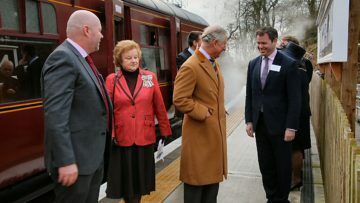 Greeted by around 150 schoolchildren at Mountsorrel Station, Prince Charles then rode on the footplate of an LMS Class 3F 47406, Jinty down to Nunckley Hill. At Nunckley the children lined every inch of fence, including the high viewing area, the access road down to the base of the quarry and the high path on the Nunckley Trail. The cheers from the children almost managed to drown out the piper that greeted his arrival. 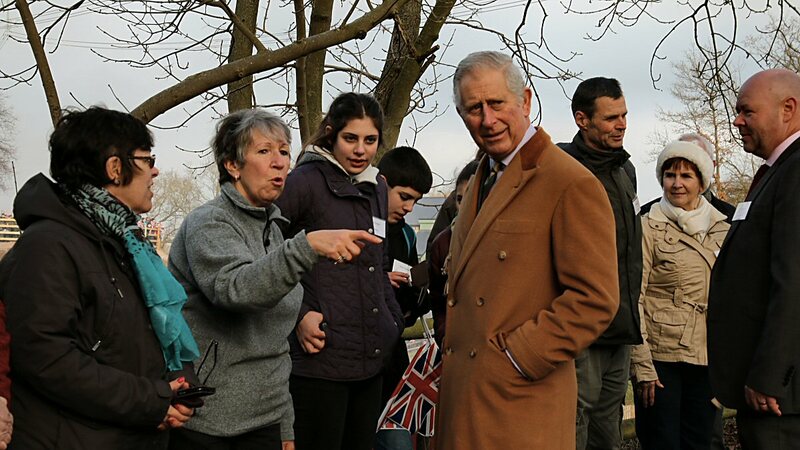 Dignitaries met, the Prince was whisked up to the Nunckley Trail where he had the chance to chat with eco volunteers instrumental in the creation of the Nunckley Trail. Tips on constructing dry stone walls. 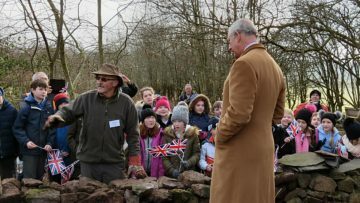 A chance to compare notes about dry stone walls, and to meet a group of children who had spent the morning working alongside our volunteers. 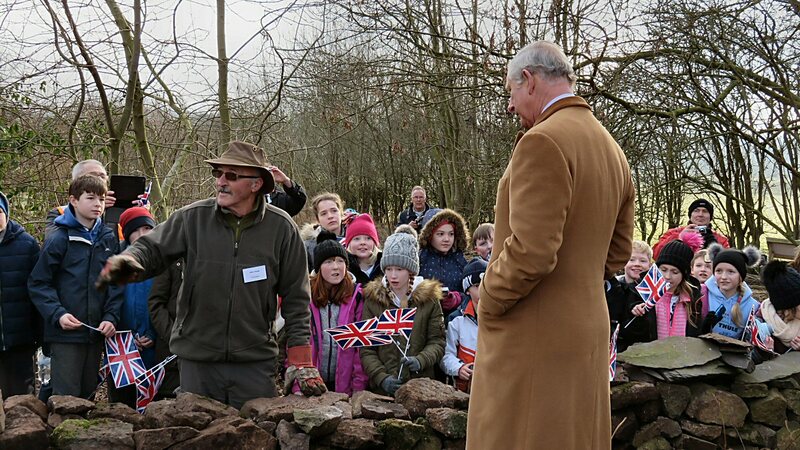 Then back down to shake hands with many of the children before making his way to the Stonemasons’ huts. 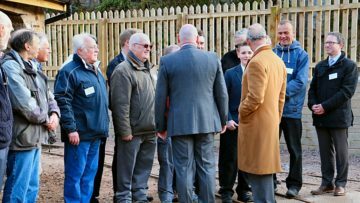 Here there was a chance to chat with some of our volunteers that had worked on the railway restoration and quarrying recreation areas. More children to meet on the way up to the Heritage Centre, a quick tour of the ground floor Heritage Room and then a chance to meet some of the major sponsors and supporters that had faith in Steve’s vision and had helped to fund the construction of the centre. Finally the unveiling of the plaque before being presented with a boot scraper. Over the next few months we will be progressively opening further areas of the site. For some of the attractions we would like to have guides to open and close the buildings and to answer questions, or to give demonstrations. 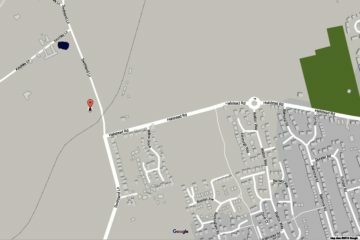 We are hoping to open this area of the site early in March, possibly as early as the 4th. We will run a 7 day rota system with two sessions per day 10:00 ’till 1:30, and 1:30 ’till 5pm, with two volunteers for each session. The early shift will open up the buildings, the late shift will close up. The rest of the time we hope the volunteers will be able to patrol the buildings, chat to our visitors, answer questions and direct them around the site. This could mean we need as many as 28 volunteers to cover each week of operations! We are hoping to have this area ready to open in time for the school Easter holidays (4th April). We plan to have this built in time for the summer holidays in July. Again we would be looking for people to operate this on days during the summer months. These would tend to take place at weekends, and occasional days during the summer holidays. We need reasonably able bodied volunteers wishing to be trained as “shunters” to work the points and couple/uncouple wagons. We have always hoped to be able to demonstrate how cobbles (setts) and walling stones would have been dressed in Mountsorrel Quarry in the 1900’s. It is unlikely that we can afford to pay for a Stonemason, hence we were hoping to be able to train a few volunteers in this ancient art. Dressed in period costume they would give demonstrations during busier periods. To spread the load we were looking for around 8 to 10 volunteers. If you are interested in any of the opportunities, or know anyone who may be, then please get in touch.